While Carlos Queiroz was ushering in Portugal’s golden generation with a U-20 World Cup title in 1989, he witnessed the Bob Gansler-coached USA finishing fourth at the tournament in Saudi Arabia. But Queiroz would become an expert on soccer in the USA when in the late 1990s, after coaching the MetroStars in MLS’s inaugural 1996 season, U.S. Soccer hired him to author a detailed study of American soccer (Project 2010, aka the Q-Report). The plan for Queiroz to become U.S. national team coach after the 1998 World Cup never came to fruition. In the meanwhile, Queiroz’s coaching included four successful World Cup qualifications (South Africa, Portugal and Iran twice), serving six years as Alex Ferguson’s right-hand man at Manchester United, and head-coaching Real Madrid. UNPRECEDENTED SUCCESS WITH IRAN. Queiroz has been Iran’s head coach for seven years. The average tenure of Iran’s coaches in the previous decade before the Portuguese Queiroz arrived was 11 months. 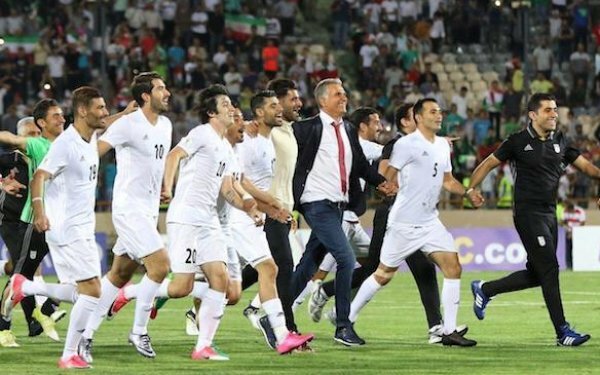 Queiroz guided Iran through an undefeated 18-game Asian World Cup qualifying campaign in which Team Melli booked its spot at Russia 2018 with two games to spare. For the first time in history, Iran had qualified for two straight World Cups. "This always reminds me of the line from the famous [Pink Floyd] song: "Hey! Teachers! Leave them kids alone." Let players play with freedom and joy. What I see all over the place, in the soccer schools, in academies, everybody is teaching everything about the game except the most important thing: the love of the game." ‘YOU CAN’T COPY ANOTHER COUNTRY’: As the USA was headed to a last-place finish at the 1998 World Cup, U.S. Soccer president Alan Rothenberg hired Queiroz to create a long-term plan. That culminated in the Project 2010 and Queiroz was to take charge of implementing it. However, U.S. Soccer’s plans changed after Bob Contiguglia became president and hired Bruce Arena. The U.S. experience, however, influenced Queiroz's approach to future ventures. “And this approach was like a lesson for me. “When you arrive in one place and start a project with a club or national team, the most important thing is to adapt and understand where your starting point is. “There is no winning formula or success formula that you can just copy. Just transfer from one environment to another environment. You have different cultures, different people, different feelings, different emotions. “You need to adapt your beliefs, your views, your concept to the reality that you have and develop one approach that is genuine and specific for each situation. Born in Portuguese Mozambique in 1953, Queiroz moved to Portugal when the African nation became independent in the mid-1970s. At the end of his short pro goalkeeping career, he turned to coaching and his resume now includes stints in eight countries, including Japan, the UAE and Saudi Arabia. After his extraordinary success with the Portuguese youth national team program – his U-17s finished third at the 1989 U-17 World Cup months after the U-20 victory – he spent two years at the helm of Sporting Lisbon before his globetrotting began. After his MetroStars’ stint, Queiroz coached Japanese club Nagoya Grampus Eight, the United Arab Emirates and qualified South Africa for the 2002 World Cup but resigned before the finals after a dispute with South African federation boss Jomo Sono, who took over the coaching position. Queiroz coached Portugal at the 2010 World Cup before his unprecedented successful run with Iran. Iran was the third team to book a World Cup 2018 ticket, after host Russia and Brazil. In Russia, Iran will face Portugal, Spain and Morocco. “I think we can see this not as a drama but an opportunity to learn. Italy didn’t qualify. There were times when England didn’t qualify [1974, 1978, 1994]. “One thing people need to understand is the development process of the game is not a line going up, but that development moves in waves. That there are ups and downs during the process. ON THE USA’s GREAT POTENTIAL. For Queiroz, one of the key missing ingredients in the USA’s quest to become a world power is a soccer culture that matches its rivals’. He mentions a scene where an American child comes home from practice and the father is home watching a soccer game on TV -- instead of basketball, baseball or football. He also points to the huge ethnic population in the USA, especially the Latino community, with deep passion for the sport. “The diversity of the U.S. population is such a big strength,” Queiroz said. “The key is to combine the potential with opportunity. The breakthrough to becoming a world power, he believes, is on the horizon. 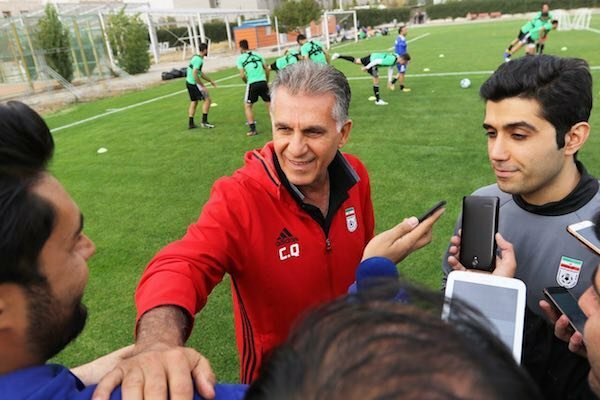 17 comments about "Carlos Queiroz on the USA's great potential, MLS creating soccer culture, and coaching youngsters". R2 Dad, June 1, 2018 at 1:47 a.m.
"One thing people need to understand is the development process of the game is not a line going up, but that development moves in waves. That there are ups and downs during the process." So I am anticipating a wave of nausia because our supposed intelligent and capable people have taken this downward dip in form to strengthen their stranglehold on power rather than do some navelgazing, analysis and assessment that might result in actual change and improvement. Still, this guy has seen and done much for the game in the US and has valuable insights. We are, unfortunately,a long way from combining opportunity with potential--all the more frustrating when we lose the Jonathan Gonzaleses to our most bitter rival. frank schoon replied, June 1, 2018 at 10:45 a.m.
R2 Dad replied, June 1, 2018 at 2:24 p.m.
Frank, "we" are not the voting members of USSF, and therefore have no say. "They" have learned nothing. They are an entrenched special interests, making their livelihood from Pay-To-Play, which is fine and I don't begrudge them a career and way to pay their bills. HOWEVER, there is a civil war coming in soccer because the people that make the decisions are also the people that get paid. Not the payers, the parents and players in the system who actually spend the money and kick the balls to keep this whole edifice afloat. No, we have no voting rights. We are the great unwashed masses of imbicile parents and players who know nothing of the game and must be painfully spoonfed by the voting populous of the USSF. Only they have a say. Only they can decide. And they have decided everything is good. No change is required even though we've failed to qualify for Russia. It's all good, we'll give it the ol' college try next time! Back to your coffee and phones, people, nothing to see here. Move along. frank schoon replied, June 1, 2018 at 3:30 p.m.
s fatschel replied, June 1, 2018 at 3:41 p.m.
R2 I will begrudge them for you :-). Making money off young kids stinks and is not the culture in Europe. At 10k per year for 10 years that's alot of college tuition. Clubs should require free soccer at least til age 14. That means a coach will need volunteer one team to get paid for another. Maybe rhe coach has a jobjin addition. And why are they asking parents/ kids to $500 in gas, hotel for 3 games out of state in 24 hours. s fatschel replied, June 2, 2018 at 8:47 a.m.
s fatschel replied, June 2, 2018 at 9:09 a.m. Since sport is not viewed in the same way in the USA, USSF can reward clubs for decreasing costs by using more volunteer coaches and limiting travel. Since fields are are big cost for clubs USSF could use it's surplus to subsidize club or state (via ODP) operated fields and gyms for futsal. USSF allow ODP to field cost free teams in the DA to reduce travel. Bob Ashpole, June 1, 2018 at 9:35 a.m. The "missing soccer culture" is a myth. The entire USA doesn't have to have a "soccer culture" in order to have a world cup champion team. On the women's side we already have won world cups and olympic gold medals. The issue is whether USSF finds and nurtures the players developed in the existing culture or not. Diversity was mentioned. We have parts of the USA that have a rodeo culture, a lacrosse culture, etc. The baseball, basketball and football cultures are not universal. They are stronger in some parts of the country and in some families than others. What has happened is that USSF youth soccer has become industrialized and USSF has sat back and allowed commercial interests and market forces do all the player development and identification work. Why are people surprised when our "elite" players are more like mass produced Honda Civics than custom built race cars. frank schoon replied, June 1, 2018 at 10:56 a.m.
Bob ,I wouldn't rely upon women's soccer as an example. To me the historical success of women's soccer has more to do with culture ,mores of other countries and the acceptance of women playing soccer and the (lack of) soccer playing quality of our competitors.This is why we ran roughshod over our competitors and were successful. We do need a soccer culture, where soccer is being played for without it Pickup soccer will never develop. Real pickup soccer culture is still missing here. Bob Ashpole replied, June 1, 2018 at 6:43 p.m.
Frank the USA was never as dominant as that. There were always at least a handful of countries with outstanding female athletes and some foreign players also enjoyed the benefit of Title IX college soccer programs. Those days are over. The number of top international teams has at least doubled and the gap between the top teams and the rest of the world has narrowed. It is going to narrow further in the future with the rise of women's professional soccer in Europe. Now we have a women's soccer culture, but originally before 1990 there wasn't much soccer at all. There was a sports culture though. I looked up historical numbers and when I was playing competitively in the mid 80's there was only about 100,000 adult players according to one site. No wonder I had trouble finding games in many parts of the country. frank schoon replied, June 1, 2018 at 7:54 p.m.
humble 1, June 1, 2018 at 9:58 a.m.
Soccer culture historically grows from the bottom up. Here, the push is to grow it from the top down. The roots have not taken just yet, but it is growing. A large stumbling block to the rooting of soccer is that the latino community is still not fully assimiliated. When or as that happens or when it is completed a new phase begins. Meantime some fresh thinking and specifically a boader more inclusive approach to youth soccer that lowers the cost of participation and encourages and enables more free-play would be a big step forward for the future. Another good article! Keep the diaglogue going! s fatschel replied, June 1, 2018 at 2:37 p.m. The excellent article by guvener talks about the importance of immigrants to soccer. But after one generation the children of the children of immigrants will be more affluent just like the current demographic. They will have other, less risky options ....doctor, lawyer, engineer. The cost of soccer needs to go way down so participation is much more than basketball or baseball. At the same time pay in USL or D3, and number of domestic roster spots needs increase substantially. frank schoon, June 1, 2018 at 10:34 a.m. TRUE, historically soccer grows from bottom up and the push here is from top to bottom. But the latter was only way to get soccer started. We had to introduce it from the top. Since it has been kickstarted, it needs to grow and that requires growing a culture to keep it going. As long as PICKUP has not become part of soccer and the youth rely upon joining a club to basically play we have attained a culture for soccer ,AS YET. Once we have established a real culture than criticism of high cost for participation falls by the wayside. As you can see with youth from 3rd world ,countries like from africa, learn their great skills playing pick up soccer and not from high costs youth participation. Ben Myers, June 1, 2018 at 2:40 p.m.
“When you arrive in one place and start a project with a club or national team, the most important thing is to adapt and understand where your starting point is." This idea is equally applicable to the coaching of ANY team at whatever level. You don't just follow a mandated training plan or some other cookie cutter approach. Evaluate the players, figure out what needs there are, individually and as a team, then structure a development program to improve them as much as possible. beautiful game, June 1, 2018 at 6:54 p.m.
“MLS and U.S. Soccer have started, step-by-step, to create visions and projects and opportunities. MLS today is a great example of development and I think people need to understand from the historical point of view this has been a period of just one generation.” By his comment, Senor Queiroz is giving too much credit to the MLS & USSF "vision". For the former, it has taken 4-generations (5-year plans since 1996) in order to create a club development program, while the latter, USSF, has remained in a comatose state of player development. Until the USSF develops and implements a new and viable USMNT plan, there is no vision of success. Bob Ashpole replied, June 1, 2018 at 10:18 p.m. I think the better criticism is that one president's 10 year plan is thrown away when the next one takes office. Execution is the problem, not planning. I believe that having one CEO in charge of both business and soccer is a problem.